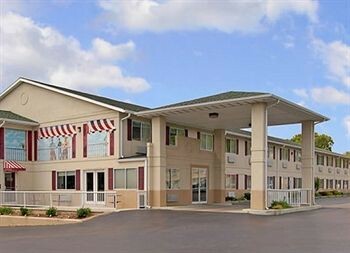 Property Location With a stay at Leisure Hotel - Osage Beach, you&apos;ll be centrally located in Osage Beach, convenient to Osage Beach Premium Outlets and Gran Rally Karts. This hotel is within the region of Ozark Caverns and Ozarks Caverns Visitors Center.Rooms Make yourself at home in one of the 69 air-conditioned guestrooms. Cable television is provided for your entertainment. Conveniences include coffee/tea makers and irons/ironing boards, and you can also request microwaves.Rec, Spa, Premium Amenities Take advantage of recreation opportunities such as a seasonal outdoor pool, or other amenities including complimentary wireless Internet access and tour/ticket assistance.Dining A complimentary continental breakfast is served on weekends.Business, Other Amenities The front desk is staffed during limited hours.